Dr. R. Markandeya is a Professor of Metallurgical Engineering at JNTUHCEH. His experience in Academic and Administrative positions includes three years as Head of the department of Metallurgical Engineering and four and half years as Principal of JNTUHCEM. Having a rural background obtained his B. Tech degree in Metallurgical Engg from NIT Warangal (1987), M. Tech (1990) and Ph. D. (2004) in Metallurgical Engg from Banaras Hindu University, Varanasi. In his 26 years of teaching and research experience he guided five research candidates directly and two candidates as co-superviser. He has 24 Research publications in International Journals and five national journals. He is instrumental in the establishment of a new college at Manthani. During his tenure many of the laboratories are established. Hostels were completed and students are shifted. 14 acres area Play ground is developed. Many more student amenities are created. College has obtained AICTE recognition and UGC 12B and 2F status in his period. 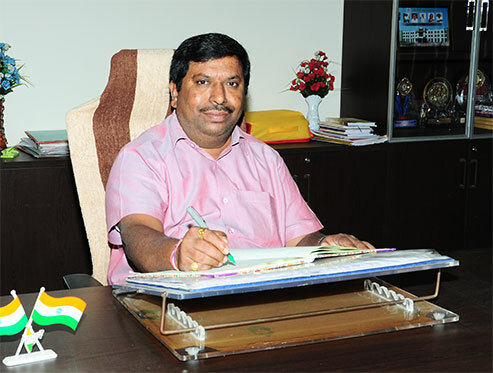 He was Chairman for Board of studies for Materials and Metallurgical Engg for six years and one year as Additional Controller of Examinations at University level and three years as Head of the department, two years special officer for Part time programs (PTPG) and three years as NSS Program Officer at College level. He is a Board of Studies member for IIIT Basara, Yogi Vemana University College of Engineering, Proddutur and IIIT RK Valley. He is a life member of various professional bodies like Indian Institute of Metals (IIM), Indian Society of Technical Education (ISTE), Institution of Engineers (IEI) and Indian Welding Society (IWS).